Dramatic increases in natural gas and oil production in the U.S. have increased the nation’s prospects for energy independence. Increases in oil and gas production are good news for the U.S. economy and consumers, but one unfortunate result could be reduced efforts to increase the nation’s production of energy from renewable sources. High oil and gas prices, as painful and harmful economically as they are, spur development of renewable sources of energy. I couldn’t be more enthusiastic about the positive implications of increased domestic oil and gas production but my enthusiasm is tempered by the prospect of a stalling emphasis on developing renewable energy sources. 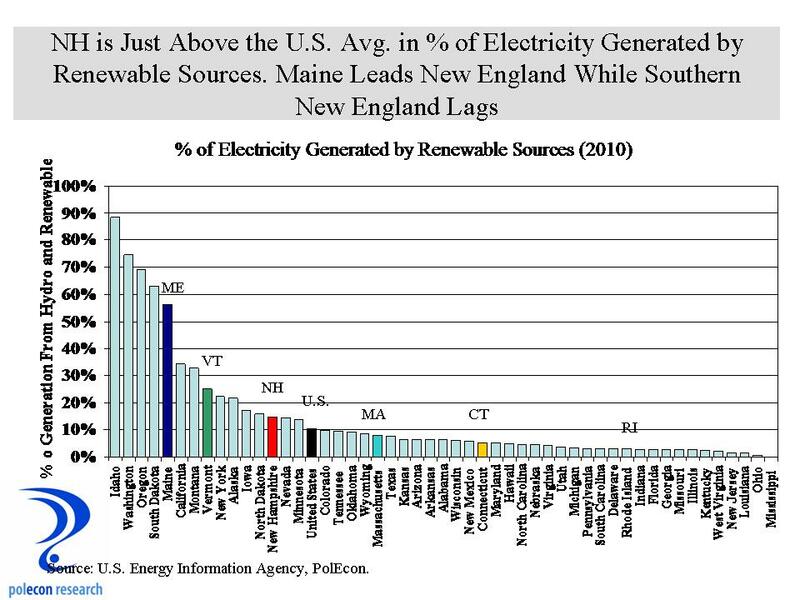 Northern New England states are above the U.S. average for electricity generated by renewables, with Maine being a national leader at 56% of it electricity generation. Vermont is at 25% and NH 14% (each of these states generates a large percentage of electricity from nuclear fuel while Maine does not). 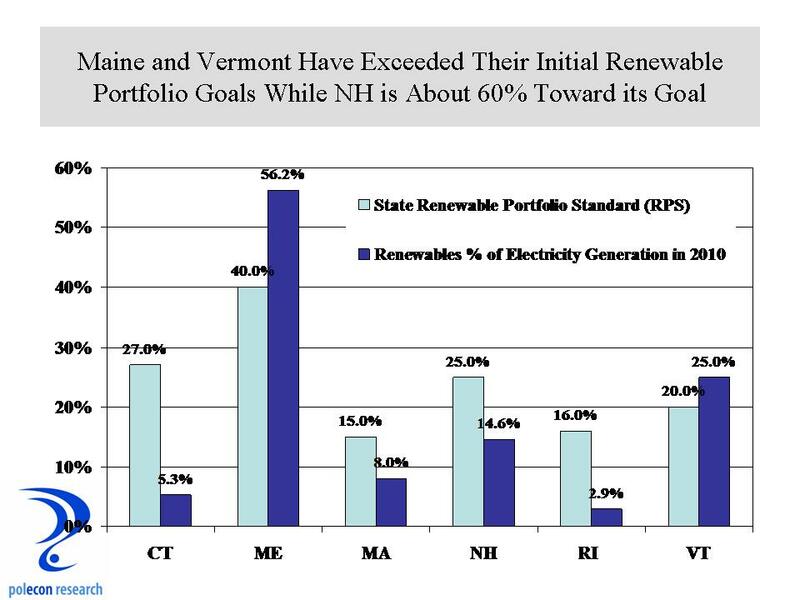 Southern New England states lag in electricity generated from renewable sources of energy, and as the chart below shows, have a long way to go in meeting their goals for the percent of electricity generated by renewable resources – even when the goals are modest. This entry was posted on November 7, 2012 at 12:42 pm and is filed under Electricity Generation, Energy, Natural Gas, Oil. You can subscribe via RSS 2.0 feed to this post's comments.